When designing business processes you often need to limit the range of displayed values of variables of an object type. For example, if you add a Contact type variable to a task context, all the contacts from the database will be shown in the drop-down list. If you want to only show the contacts that belong to a specific contractor, you can use a special filter. If no contractor is selected in the task form, the list of contacts will be full. 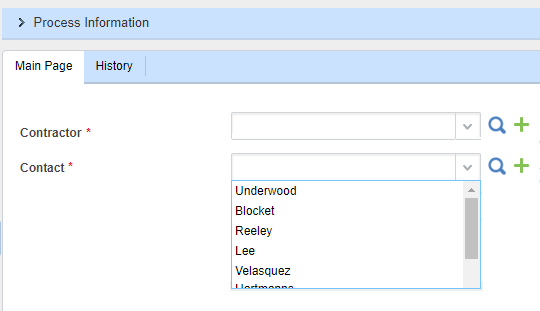 If the contractor is selected, then the list will be shown according to the filer.